'Below Deck' Accident That Nearly Killed Ashton Pienaar EXPOSED! The Below Deck accident that rocked the Bravo cast and crew will be featured on the next episode of the popular yachting series. 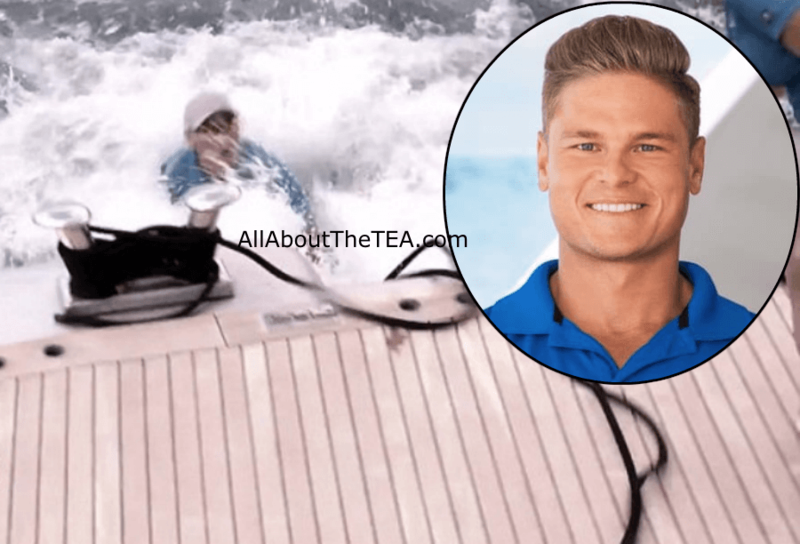 AllAboutTheTea.com has learned key details about the Below Deck accident that almost ended in tragedy. Fans have seen snippets of the high seas horror show — a near disaster that shook Captain Lee Rosbach to his core. According to an exclusive inside source, Ashton Pienaar was yanked overboard, after his foot became entangled in a line attached to the guest tender — a small boat used for excursions — as it was being towed by the super-yacht. The source explained that Captain Lee immediately killed the engine when he heard cries of “man overboard,” and that a member of the camera crew had to jump in to save the drowning deckhand. The snitch revealed that Ashton’s ankle was seriously injured, and that he required immediate medical attention. “Ashton’s ankle was so destroyed that he only narrowly escaped amputation,” the production source tells AllAboutTheTea.com. Watch the nautical nightmare unfold on Below Deck, Tuesday night at 9:00 p.m. ET., on Bravo.